My wife recently discovered that insightful line in the whimsical children’s book Ramona the Brave when she was reading it to our daughters. Books for children sometimes mention the conscience in passing, but they usually don’t explain what it is and how it works. That’s understandable, because it’s a complex topic. A couple years ago my friend J. D. Crowley and I attempted to address it [read TGC’s review], but our target audience was adults, not children. Then my daughter Kara, who was 8 years old at the time, asked me if I would write a book on the conscience for children. How could I say no to that? 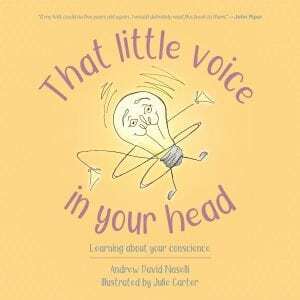 So I attempted to write my first children’s book (which releases this month): That Little Voice in Your Head: Learning About Your Conscience. Before I suggest how parents can teach their children about the conscience, I want to qualify upfront that I’m not a parenting expert. My confidence level in my parenting ability has consistently decreased as my children have aged; I’m increasingly desperate for God’s help to do what I cannot do on my own—transform the hearts of my children. I get in the way. I sin against God and my children by being impatient, irritable, and unkind, so I regularly ask God and them to forgive me. I don’t want to sound like I’ve got it all together and that you can too if you simply follow my advice. With that caveat in place, here are seven ways parents can teach their children about the conscience. Often the best way to teach children about something is to informally talk about it when it naturally arises. If you’re reading a book or watching a show together, you can stop and talk about how a character is or isn’t following their conscience—and why that matters. 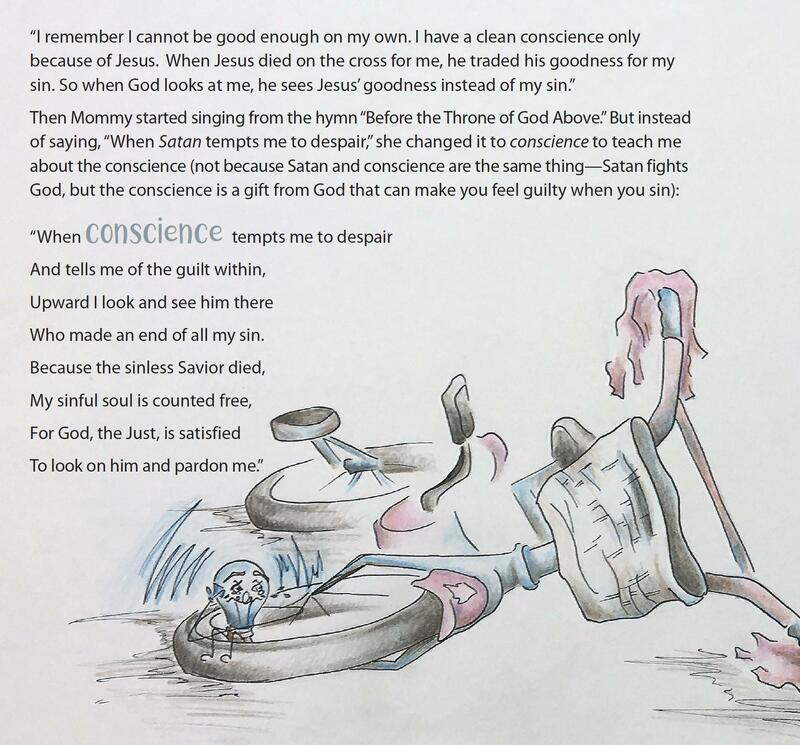 My children’s book on the conscience is basically a series of conversations between a mom and her little daughter. It’s unrealistic to think that all your conversations will sound like the ones in the book, but the back-and-forth in the book models how some conversations might go. “Out of the abundance of the heart the mouth speaks” (Matt. 12:34). Listen carefully to what your children say, because their words are a window into their heart. Listen to what they think is right and wrong. When do they think others are guilty of sin? When do they sense they are guilty of sin? Why? What do they think they should do about it? Do they need help calibrating their conscience in a certain area? Sometimes children are convinced that something is wrong when it’s not inherently sinful, and they might confess such a “sin” to you. For example, your child might think that it’s sinful to walk in someone’s home while wearing “outside shoes” if you have a family rule about it. Your child might have a hard time visiting a home where they keep their shoes on. Maybe your child decided to keep their shoes on in the other house but felt terribly about it, and they might confess to you in tears. How should you respond? At minimum, affirm your child for listening to their conscience and for sharing that with you. Encourage them. Praise them. Don’t scold them. To go against your conscience when you think it’s warning you correctly is always a sin in God’s eyes. As Mark Dever says, “Conscience cannot make a wrong thing right, but it can make a right thing wrong.” But then go on to help them recalibrate their conscience for their next visit. When you train and discipline your children, appeal to their conscience. Tell your children that the conscience is a priceless gift from God they must not ignore. It can be a warning system that saves them from great harm. If your finger brushes the top of a hot stove, your nervous system reflexively compels you to pull back your hand to avoid more pain and harm. Similarly, the guilt your conscience makes you feel should lead you to turn from your sin to Jesus. God gave you that sense of guilt for your good. Don’t ignore or suppress it. Parents are sinners, too. We regularly sin against our children—sometimes directly (e.g., being sinfully angry or impatient with them) and sometimes indirectly (e.g., sinning against someone else while they are looking on). Every time we sin, it’s an opportunity for us to model repentance. No two people have exactly the same conscience. That’s why passages such as Romans 14 and 1 Corinthians 8 exist. We tend to assume our own conscience is the standard that perfectly lines up with God’s will, but we all have blind spots where we need to recalibrate our conscience so that it functions more accurately. It was complicated enough explaining all that in a book for adults. How do you explain that to kids? Talking about the conscience can be a way to celebrate the gospel, because the blood of Christ purifies our conscience (Heb. 9:14). Jesus lived, died, and rose for sinners, and when we turn from our sins and trust him, we can draw near to God “with our hearts sprinkled clean from an evil conscience and our bodies washed with pure water” (Heb. 10:22). What can make my conscience clean? Nothing but the blood of Jesus. May God help you point your children to Jesus as you teach them about the conscience.